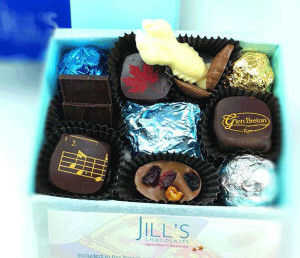 Cape Breton’s own Chocolatier brings her 11 years experience back home, to her 1st retail location. Located just off the entrance to the Inn, you’ll be able to enjoy early morning cafe style breakfast (open 8am), chocolate, coffee, espresso and tea, while you watch Jill handcraft her delicious treats! Down home comfort food as well as pub fare will go nicely with a crisp local lager or glass of wine. Take a load off and enjoy the view of the Bras d’Or lake, while the music warms your soul. Open daily 11am for lunch & dinner & good times!